In November 2018 the Duke Cancer Institute (DCI) opened a new Center for Prostate & Urologic Cancers to focus exclusively on genitourinary cancer. It is only the second center created within the DCI for specific types of cancer (the other is the Preston Robert Tisch Brain Tumor Center). 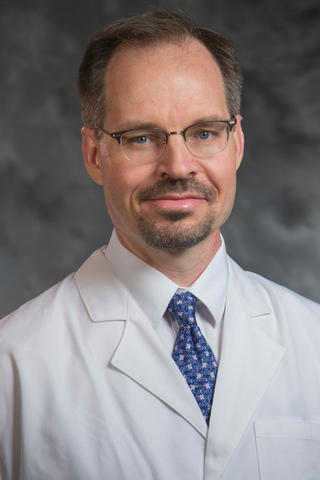 Thomas Polascik, MD, a urologic oncologist and director of surgical technology for the new Center, oversees the development of innovative technology that provides enhanced safety and outcomes for patients. He also identifies emerging trends in the management of prostate and urologic cancers, including pioneering better ways to diagnose and treat early stage and metastatic disease. Here, he discusses some of Duke’s areas of focus for prostate cancer research, diagnostics, and novel therapies. What is the concept behind Duke’s new Center for Prostate & Urologic Cancers? Polascik: It’s a multidisciplinary program that incorporates what we consider the best diagnostics on the planet with a dedicated team of people working together for patients within a quality improvement framework. Everyone involved is very excited about what it will mean for the patients who come to us seeking new answers and new hope. How is Duke improving diagnostic capabilities for prostate cancer? Polascik: One way we’re doing this is through our MRI-ultrasound fusion guided biopsy program. It’s a robust, full-service imaging and targeted therapy program that brings urology, pathology and radiology expertise together. We have software that fuses MRI scans with live, real-time ultrasound images of the prostate. As we move the probe around the prostate, the fusion software shifts the overlaid MRI image accordingly, giving us a detailed 3D view and a clear target to biopsy. We also have a new transperineal biopsy system to supplement our transrectal system, so we now have two different access points for targeted biopsy. How does fusion biopsy help providers and patients decide on the best course of treatment? Polascik: In “the old days,” before all of our new technology, if a man had a negative prostate biopsy, we said “You don’t have cancer,” and that was it. Now we aim to get an MRI first and if we see a lesion, we set up for a fusion biopsy. A concordant result means that both the pathology and radiology agree; discordant means the biopsy is negative but there’s a suspicious area on the MRI. So if a man has a suspicious area on the MRI, but the fusion biopsy doesn’t detect cancer, that’s a discordant result and our pathologists, urologists, and radiologists come together to make sense of it. If we all agree that the results are negative, we refer the patient back to their primary care provider for follow-up care. Or, in other instances, if we find a discordant result, we’re concerned about keeping the patient under closer watch and plan for more studies and possibly biopsies. What are some of the causes of discordant results? Polascik: Inflammation could be mimicking cancer, there could actually be no cancer, the urologist may have missed an area during biopsy, the patient may have moved during the procedure, etc. The point is that we’re not just stopping when we see a negative biopsy; we are post-processing it, discussing it, and coming up with new answers on next steps for patients. Rajan Gupta, MD, an abdominal imaging specialist, is the director of imaging in the new Center and oversees the radiologic process. Dr. Gupta and I recently collaborated with other colleagues on a study that examines the role of quality control initiatives in increasing the concordance between clinical-imaging and histopathological data and to improve accurate targeting of the suspicious lesions. We can’t overemphasize the role of multidisciplinary teams for quality improvement and feedback interventions to help us advise patients how best to move forward. What plans does the team have for expanding the capabilities of the Center? Polascik: We’re looking into additional space to accommodate more patient volume, designing a dedicated procedure room, and implementing new software that will integrate everything and link information systems in real time, so we’ll be able to advise men immediately on next steps when they come in for a biopsy or followup.